Boulder, Longmont, Lafayette, Louisville, and Surrounding Areas. 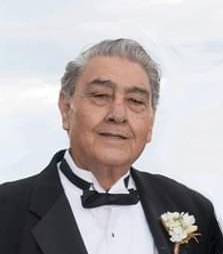 William F. Tafoya, 81, of Boulder, Colorado, passed away on March 19, 2019. He was born in Hanover, New Mexico on November 2, 1937, to William and Esther Tafoya. He was married to Sofia Valles on December 27, 1968. 9, 1953 to 1956, in the US Army. He was an active member of his community, always willing to lend a helping hand to fellow neighbors. Columbus Council 10862 and a parishioner of Immaculate Conception Church in Lafayette, Colorado. sister, Nettie Alvarez, brother, Henry Tafoya and numerous nieces and nephews. as a great storyteller, loved to share stories about his adventures in the military, and he loved to cook. him. We will all miss him dearly.